David Smith, the developer behind the Pedometer++ watchOS app, has shared some intriguing stats regarding the breakdown of Apple Watch adoption for his app. According to Smith, Series 3 models are being adopting “incredibly quickly” and is currently the most popular Apple Watch amongst users of his app, at 33% of his user base. But the story is different when it comes to Series 0, which he says is currently at 24% and “steadily falling”. Smith hopes Series 0 gets dropped by Apple because it’s slow, even for “basic things” such as deploying an app to the watch. It seems like recently Apple has been more reticent to drop support for old hardware, but I hope that the pattern that we saw with the iPad might be repeated here. Where the first generation of the product was more quickly deprecated (2.5 years later in the case of the 1st Gen iPad). After that short lifespan for the first version, they then kept the second generation, iPad 2, supported for 5 years. The Series 1 & Series 2 watches would be a great baseline going forward. While not quite so fast as the Series 3, they are a mile ahead of the Series 0. Other interested tidbits shared include the breakdown of 42mm and 38mm models, split around 60/40 in favour of the former. 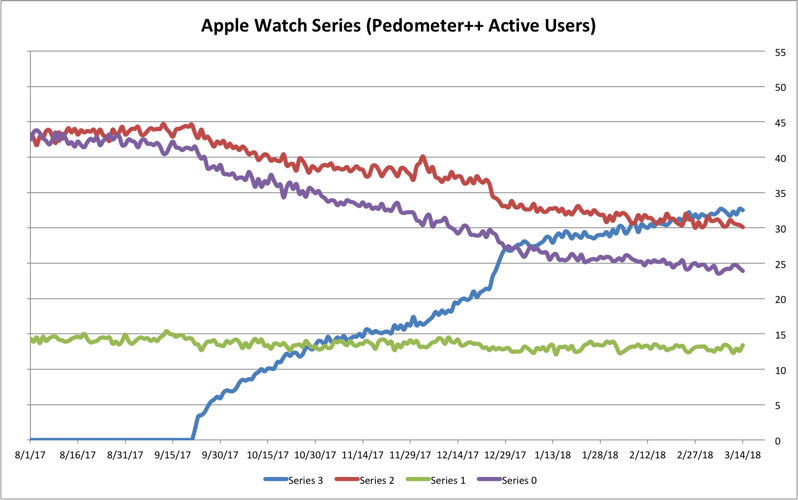 As for LTE and non-LTE for Series 3, it’s around 50/50, while Apple Watch adoption of his Pedometer++ audience is about 12% overall. Smith concludes to say “as a developer I would love to see this platform be aggressively pushed forward.” The takeaway here is Series 0 Apple Watch models are too slow, despite the minor advances of watchOS. The bottom line is watchOS still needs to be optimized better for older models, as it’s still slow, even on my Series 2. 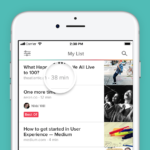 Loading the Workout app for the first time requires a wait time of 3-4 seconds before it will even work, which is excruciating.